A unique partnership between the Grand River Hospital Regional Cancer Centre and the Kitchener Public Library will offer local cancer patients better access to information while on their cancer journey. On September 28, the J. Wesley Graham Patient and Family Resource Centre was re-opened as a branch of the Kitchener Public Library (KPL). “Dad believed strongly in partnering for success, and we are confident that the KPL expertise will help many patients and their families,” said Graham’s daughter Marlene Kipfer. ​transformative years in the 1970s and 1980s. ​before his death in 1999. Graham was also a dedicated fundraiser for the Grand River Hospital. When the regional cancer centre was opened in 2003, the Graham family made a donation in his name to create the Resource Centre. “From his experience in education and in business, he believed in empowering people with tools and information,” Kipfer said. Through its new connection with the KPL, the Resource Centre has been updated to provide patients with relevant, up-to-date information on specific types of cancer, health databases, digital audiobooks and magazine, streaming music and videos. This is a one year pilot project between the hospital and the KPL. The specifically-curated collection will focus on strategies to help patients deal with a cancer diagnosis, such as healthy eating, smoking cessation, exercise, yoga and meditation. There is also a leisure collection for those who are looking to take their mind off their diagnosis for a while, or to pass the time during a treatment session at the hospital. All cancer centre patients will receive a special library card to access the collection, regardless of where they live in Waterloo Region. Residents who have active library cards from public libraries in Kitchener, Waterloo, Cambridge, or the regional lib-raries in the townships, will also be able to borrow from the hospital library. 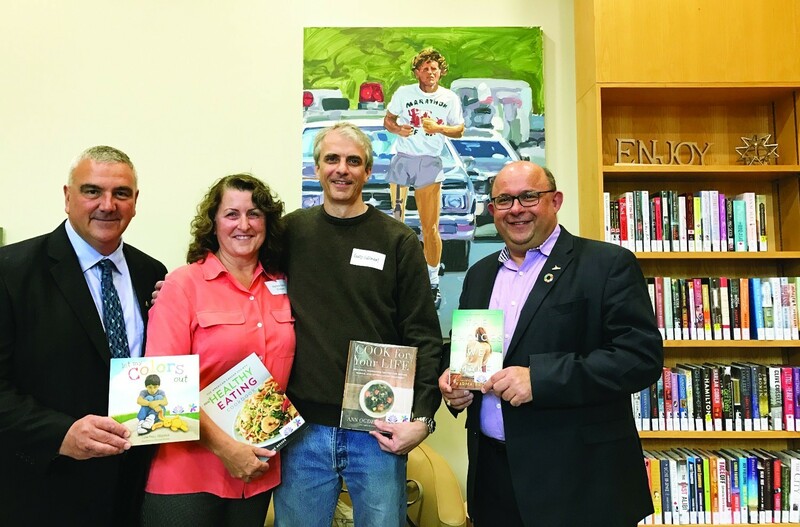 The idea to connect the Resource Centre with the Kitchener Public Library came from the cancer centre’s Patient and Family Advisory Council. “When we looked at the resource centre from a patient and family perspective, we realized that revitalizing the space and updating its resources and technology could greatly support cancer patients and their loved ones in understanding and making sound decisions about their healthcare,” said chair Beth Wilson. The J. Wesley Graham Family and Patient Resource Centre is located on the main level of the Balsillie Family Building, and is open Monday to Friday between 8:30am and 4:30pm. KPL staff will be on hand Thursday afternoons from 1pm to 3pm. During other hours, it will be staffed by volunteers. Hospital volunteers can call the KPL InfoLink line when the KPL is open and the staff will assist with reference questions over the phone. Ongoing donations to the Grand River Hospital Foundation will help the Resource Centre build its collection and increase the educational and peer support activities in the centre. If you would like to make a donation, contact the Grand River Hospital Foundation at 519-749-4205.